The Mitsubishi Outlander is a mid-size crossover SUV that is among the most affordable to offer seating for up to seven. Now in its third generation on sale in the U.S., the Outlander was redesigned in the 2014 model year, and updated for 2016. For the 2019 Outlander, Mitsubishi made a handful of styling updates. Rivals for the Outlander include the Dodge Journey, Honda CR-V, Hyundai Santa Fe Sport, Nissan Rogue, and Toyota RAV4, among others. The 2014 Mitsubishi Outlander made its debut with completely different styling, doing away with the shark-like front end and more wedge-like profile. Mitsubishi was selling the Outlander on more aggressive styling and driving attributes, but it has clearly positioned the latest model toward value. The Outlander has slightly more aggressive styling than many other crossovers of its size, giving it more of a sporty wagon look in some respects. Flared fenders, a sloped roofline, and a strong rear pillar define the proportions, while the Outlander's higher stance and rugged lower cladding bring it back to the crossover crowd in terms of both design and functionality. The Outlander is one of the least expensive vehicles available with three rows of seating. Models equipped with the third row can carry up to seven passengers. Because of the Outlander's compact overall size, the third row is strictly for occasional kid-hauling duties. All Outlanders have an easily configurable driving position with a tilt/telescoping steering column, as well as adequate head room and leg room for adults in the second row. The Outlander offers a choice of either a 4- or 6-cylinder engine. 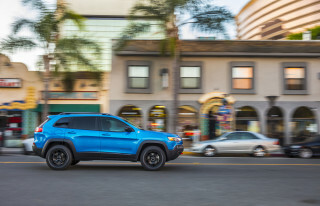 Base models use a 2.4-liter inline-4 that makes 166 horsepower and is paired with a continuously variable transmission (CVT), which is a modestly powerful combination. The more expensive GT model gets a V-6 that's good for 224 hp; the added power is nice, but not that fast, and the engine requires premium-grade fuel and isn't especially efficient. Torque is also pretty low and uninspiring. It does come with a conventional 6-speed auto, which is more to the liking of those interested in performance. A plug-in hybrid version of the Outlander, with a complex drive system that's capable of both series and parallel hybrid operation was released in 2018. All but the GT are available with a choice of front- or all-wheel drive. The GT exclusively sends power to all four wheels. 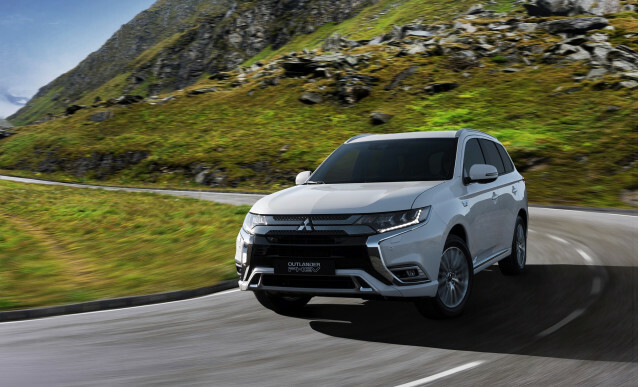 Safety features for Mitsubishi in the Outlander include adaptive cruise control (with three distance settings), lane-departure warning, and a forward-collision warning with automatic emergency braking. For 2017, this system added pedestrian detection and blind spot monitors, lane change assist, and rear cross traffic alerts available. Today's Outlander offers one of the strongest sets of standard equipment for the money, among compact-to-mid-size crossovers. And if it’s a three-row vehicle you’re considering, the Outlander is one of the smallest and least expensive. For 2016, Mitsubishi made more than 100 improvements just two years after its redesign. 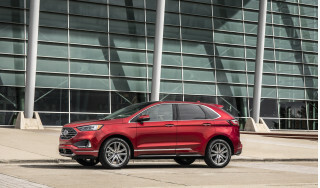 The company sharpened up the front-end styling, subbed in a new, more responsive CVT in 4-cylinder models, and added many refinement upgrades and cabin improvements, including the addition of lots of sound deadener. The suspension was tweaked and the body stiffened as well, and the seat-folding arrangement for the second row was made easier. For 2017, the Outlander's interior has been updated with glossy black trim and an electronic parking brake rather than the traditional pull-up style. A host of optional higher-end equipment—a heated steering wheel, Apple CarPlay and Android Auto support, new active safety features, and a surround-view camera system is newly available. 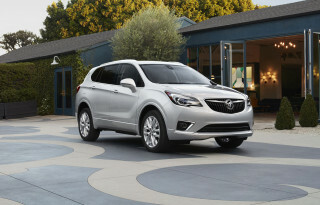 The base model is now offered with all-wheel drive, albeit a more basic system. The Mitsubishi Outlander was first introduced for 2003. At the time, it was only offered with a 140-hp, 2.4-liter inline-4 engine and 4-speed automatic transmission. From 2004 through 2006, the Outlander got a 160-hp version that made it a bit perkier, but both versions felt adequate for around-town driving though they were somewhat overwhelmed with a full load or on the highway. A 5-speed manual transmission was introduced in 2005, but not many models were equipped with it. Overall, this generation of Outlander models was quite unremarkable to drive, with a rather soft ride, decent but uninspiring handling, and well-appointed but somewhat cheap-feeling interiors. Safety features were also rather slim, with ABS and side airbags only standard on the top XLS until 2006, and electronic stability control not available. Mitsubishi redesigned the Outlander for 2007, using the new Lancer platform as the basis for its crossover. 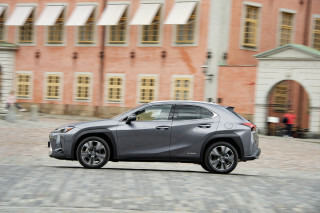 It was initially offered with a choice of two engines: a 2.4-liter 4-cylinder making 168 hp and mated to a CVT or a 3.0-liter V-6 good for 220 hp and paired with a 6-speed automatic. It continued to offer a choice of front- or all-wheel drive. This time, the Outlander was a bit larger and offered a small third-row seat. In general, this generation of Outlander looked and felt substantially more sporty and upscale, and the Lancer's sporty driving character finally carried over. V-6 models weren't quite as fast as expected, and with a significant increase in weight, the 4-cylinder was overwhelmed, sounding even more coarse and boomy than in the previous generation—in part due to the CVT keeping the engine at one speed for extended periods of time. Mitsubishi finally made use of the sporting heritage of the Outlander's Lancer cousin in 2010 when it added a GT model. It combined the V-6 with the S-AWC all-wheel-drive system from the Lancer Ralliart and Evo models. Snow, Tarmac, and Lock modes increased the vehicle control on various surfaces. It also received handling and suspension upgrades to improve performance all around. For 2010, all Outlanders got a version of the Lancer's even more blunt, shark-like grille, along with a more car-like air dam. Interior enhancements included a padded dash for top-of-the-range models, an available navigation and entertainment system called FUSE that incorporated a voice-command interface. The XLS was later dropped, and a few more standard features were added to the 2013 Mitsubishi Outlander. Mitsubishi had announced that it would turn the Outlander name into a sub-brand, much like what Subaru had formerly done with its Outback line. 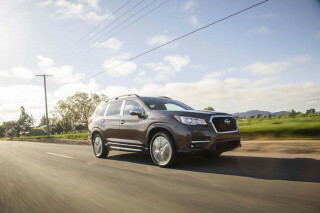 And in the 2011 model year, it followed that plan and introduced the Outlander Sport, a smaller, more car-like and fuel-efficient model with some of the same styling cues.